Kailua-Kona, Hawaii (February 10, 2016) – Kona DeepTM, the Hawaii-based bottled water company, will launch its namesake brand in the continental United States beginning in March. Already widely distributed in its hometown state of Hawaii, the introduction signals the creation of a new category: deep ocean drinking water. The naturally electrolyte-rich bottled water, which delivers an extraordinary taste and hydration experience, will initially be distributed throughout the natural, grocery and specialty retail channels in the Western United States. Later this year, Kona Deep will expand its distribution throughout the rest of the country. While Hawaii was a natural first place to launch, Turpin is setting his sights on growing this brand across the continental U.S., where premium bottle water sales have skyrocketed more than 300% over the past five years. The new brand has also teamed up with world-class professional surfer and Hawaii-native Malia Manuel, as well as Arizona-based hurdler and Olympic hopeful Georganne Moline, as brand ambassadors. Both women represent a generation of consumers who want more from their bottled water and value natural products. Kona Deep is now available in Hawaii in grocery stores, convenience stores, natural stores, and military exchanges in 500mL and 1L bottles. 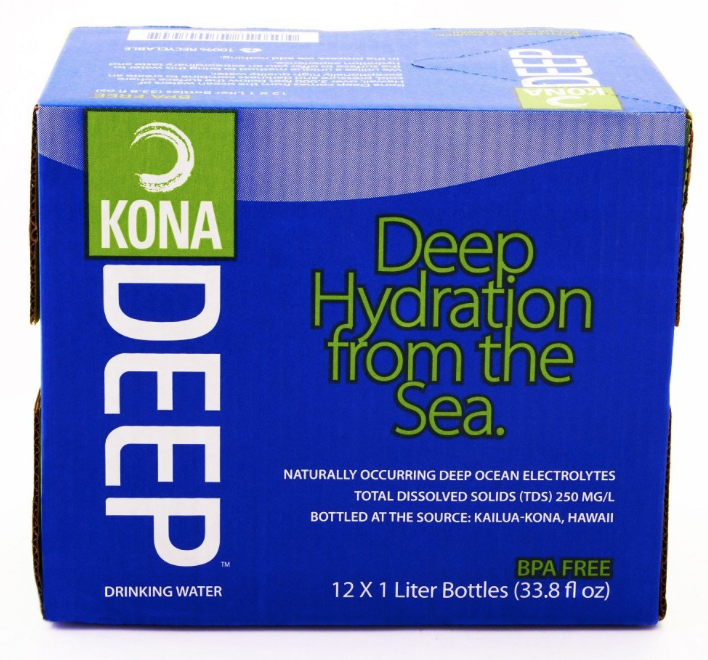 Consumers can purchase Kona Deep in store or online at www.amazon.com. 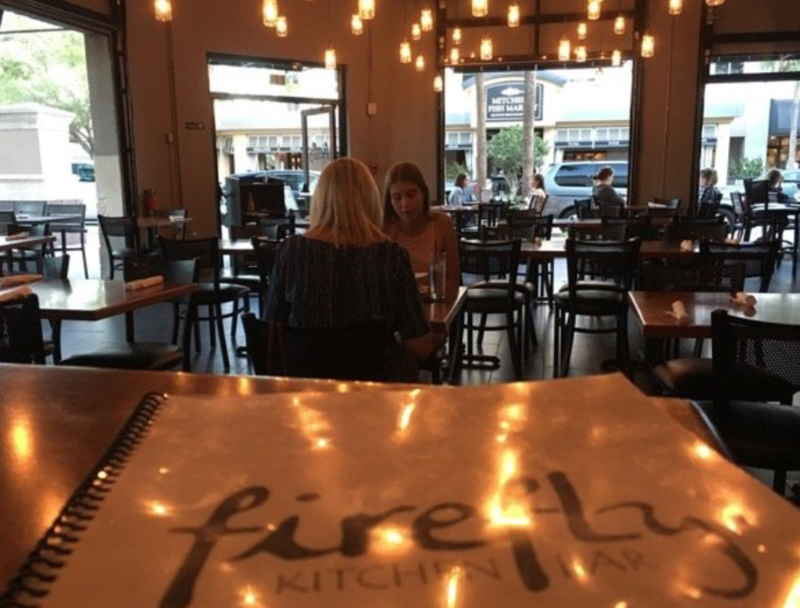 Wilmette, Ill. (February 11, 2016) – Firefly Kitchen, the Brooklyn-inspired upscale neighborhood bistro, announced today that it will begin serving lunch, in addition to dinner and weekend brunch. Since opening last July, Firefly has made its mark on the North Shore dining and drinking scene. The new lunch menu will feature Contemporary American cuisine, Wednesday through Saturday from 11:00 am – 2:30 pm. Diners can expect the same creative culinary approach to lunch from New York native and veteran chef, Dean Salerno, who brings a “Taste of Brooklyn” to Chicago’s North Shore. The menu includes imaginative items like the Stacked Chicken Caesar, which features a trio of lettuce and two distinct preparations of freshly cut chicken, lightly drizzled with Caesar dressing and black pepper, and garnished with anchovies and three-cheese stuffed croutons. For guests who want to go beyond the green, the ‘Bread and Bun’ portion of the menu gives diners a diverse selection of sandwich options from both land and sea. The BBQ Short Rib Sliders are a classic comfort dish, stacked high with slow cooked boneless meat and topped with slaw, for a smoky and spicy treat. The Tuna Burger showcases ‘sushi grade’ fish, topped with wasabi mayo and wakame salad. The new menu also features Firefly favorites currently found on the dinner menu, like the Chopped Salad, Salerno Burger and Housecut French Fries with Duck Fat Parmesan & Herbs. Full bar service will be available during lunch, featuring an extensive cocktail and wine list, expertly curated by James Pierce, former head of The Bar at The Peninsula Chicago. Firefly Kitchen’s food and bar menu is also available for takeout. 2016 also marks the fourth year of operation for Firefly Events and Catering, which offers broad scope services ranging from a “Ravinia Basket” (complete with wine and beer selections) to black tie galas. Firefly Kitchen is located at 111 Green Bay Road, on the border of Wilmette and Evanston. The restaurant is just steps away from Metra’s Central Street Station. It delivers a welcoming 60-seat, whimsically lit and modern vintage setting, and a 35-seat outdoor patio that serves as the perfect spot for a relaxing brunch or lunch, or intimate dinner. Firefly Kitchen is a neighborhood and destination bistro led by NYC-native and veteran chef Dean Salerno, who aims to bring a “Taste of Brooklyn” to Chicago’s North Shore. The bistro offers upscale, comfort food in a glowing and vibrant bistro setting, along with a carefully curated cocktail and wine program led by James Pierce, former head of The Bar at The Peninsula Chicago. Firefly Kitchen brings an unpretentious approach to bistro food for every guest in a modern vintage style. Sun; Tue – Thurs. dinner: 5 p.m. – 12 a.m.
Fri., Sat. dinner, 5 p.m. – 1 a.m.
Sun. brunch: 10 a.m. – 2 p.m.
Firefly Events & Catering specializes in creating elegant, memorable, and illuminating experiences. Whether a wedding, corporate event, or any other special occasion, we are dedicated to providing impeccable service and carefully handcrafted cuisine in beautiful, timeless settings.